WASHINGTON — Lax oversight and poor communication have beset a little-known federal agency charged with managing the federal student aid program, several witnesses testified Wednesday at a Congressional hearing. The problems — cited in a series of governmental investigative reports, including a new Government Accountability Office (GAO) report that found “key weaknesses” at the agency — have led to improper payments, colleges being left in limbo about whether their student aid programs comply with the law, and students getting inadequate information about loan repayment options, the witnesses said. As many in the nation’s higher education system strive to make student borrowing more reasonable, both in cost and in repayment plans, the agency — the Office of Federal Student Aid, or FSA – has often hampered these efforts, critics said. For example, U. S. Rep. Elise Stefanik (R-New York) said that failing to inform borrowers about options, such as income-based repayment or loan rehabilitation plans, could hurt borrowers’ credit ratings. “We’re pushing off the next generation of leaders from buying their first home and saving for the future,” Stefanik said. The agency is responsible for the disbursement of federal student aid — $127 billion in fiscal 2015 — and for overseeing the collection of the approximately $1.2 trillion that borrowers currently owe in student loan debt. James W. Runcie, the head of FSA, vowed to address the problems cited at the hearing, and said FSA had made progress on backlogs and some communications flaws. But some witnesses and Republican lawmakers said the agency’s failings were so entrenched that they require fundamental changes in how the agency is run. 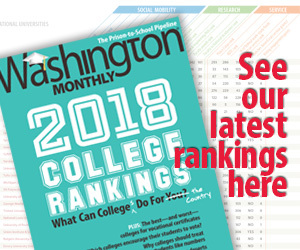 “Despite FSA’s many assurances and despite my belief that their staff is dedicated, I also believe we’ll continue to see these problems until there are meaningful structural and cultural changes at this agency,” said Justin S. Draeger, president of the National Association of Student Financial Aid Administrators. Draeger lamented that FSA had sent a series of “threatening letters” to colleges and universities about their alleged lack of compliance with federal student aid regulations, only for the schools to find out later that they were not in violation. Melissa Emrey-Arras, a GAO administrator, testified that FSA was “unable” to provide most eligible borrowers who completed loan rehabilitation programs with the resulting benefits — such as the removal of defaults from their credit reports – in a timely way. The GAO report released Wednesday found that FSA had failed to monitor calls between student loan servicers and borrowers — particularly the more voluminous outgoing calls to delinquent borrowers. It said only nine percent of outgoing calls were being monitored. Emery-Arras also said FSA needs to provide more clear and consistent guidance to loan servicers, so that they provide better service to students. “You said there was no negative impact to students and families, but comment after comment in this room and in reports have shown negative impact,” said U.S. Rep. Virginia Foxx (R-North Carolina). Democratic lawmakers sought to deflect the negative attention by citing a series of steps the Obama Administration has taken to make college more affordable, such as increasing the Pell Grant program’s funding. They also praised the Administration’s Student Aid Bill of Rights, released earlier this year. The testimony came at a joint hearing of the House Oversight and Government Reform Committee’s subcommittee on government operations and the House Committee on Education and the Workforce.